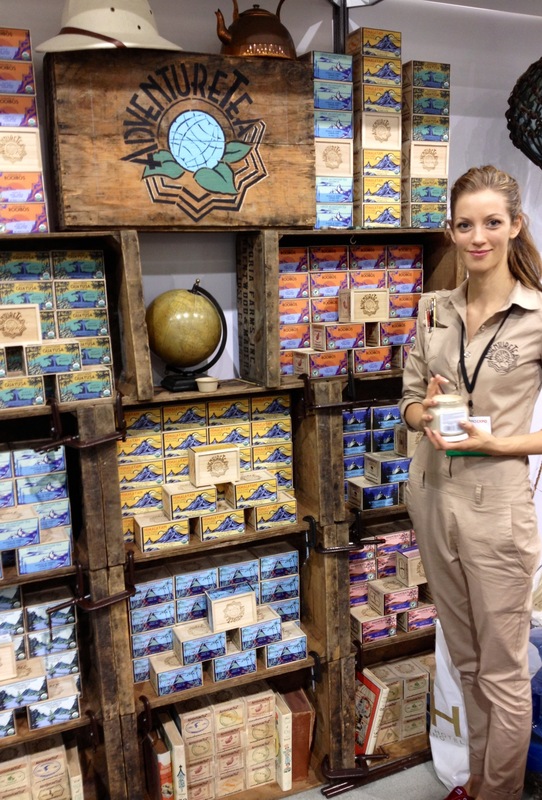 One of the exhibitors I was most looking forward to meeting at the World Tea Expo was AdventureTea. Before going to the World Tea Expo I had looked up a lot of the companies online. This company sounded unique and different! Reading their website made me hope that one of the services they would provide would be traveling with them around the globe to pick the tea myself. The next best thing is reading their website and drinking their wonderful tea. 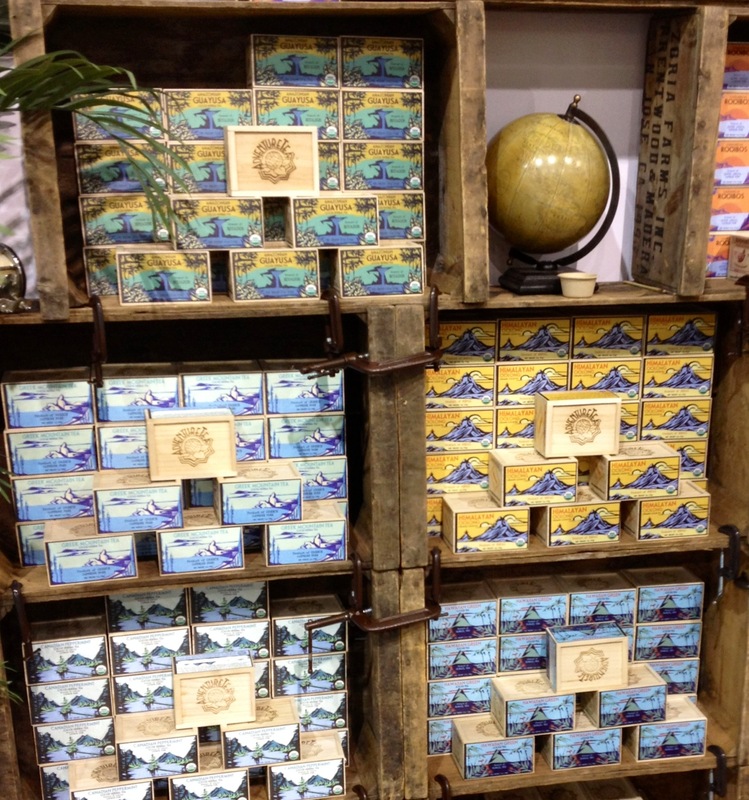 Check out AdventureTea’s website here. Their website is a lot of fun, make sure to click on each type of tea for a detailed description of the taste, type of tea, quotes, and product description. The artwork is also very unique and attractive. In the photograph taken below I was able to get the artist who has designed the artwork with their exhibit booth. The tea I tasted at the expo was excellent in flavor. They have a Hawaiian Volcano Green Tea, Himalyan Oolong Tea, Malawi Black Tea, Washington State White, South African Rooibos, Canadian Peppermint Tea, Amazonian Guayusa, and Greek Mountain Tea. I can’t wait to try more of their teas in the future.